The Google Doodle for March 5, 2015 celebrates instant-noodle inventor Momofuku Ando's 105th birthday. Today's Google "Doodle" honors the father of instant noodles: Momofuku Ando, the Taiwanese-Japanese founder of the Nissin Food Products Co.
Ando would have turned 105 today had he not died of heart failure in January 2007 at the age of 96. With Taiwanese parents, Ando was born in Taiwan during the Japanese occupation of Taiwan and became a Japanese citizen after World War II. He started with chicken-broth noodles in cellophane bags behind his house in Ikeda, Japan. Today, Nissin sells instant ramen, chow mein and pasta noodles in cups, bowls and plastic packaging. 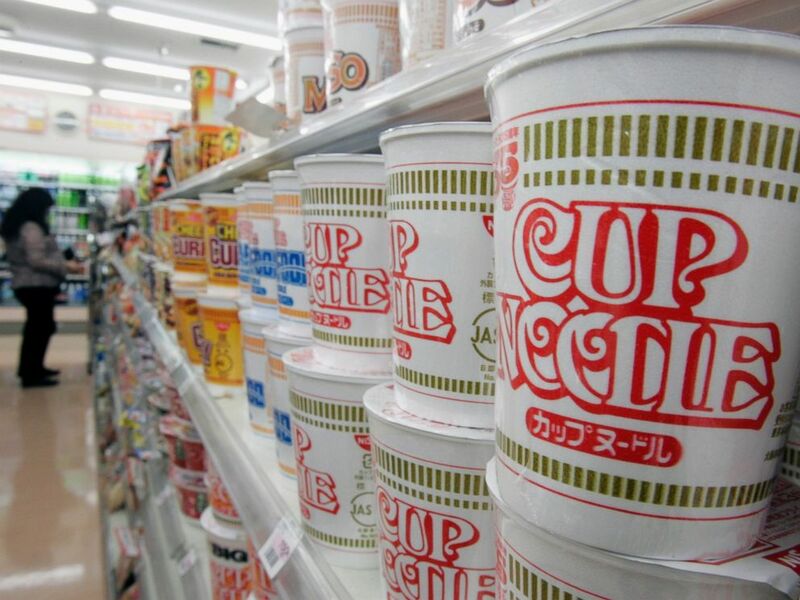 Japanese instant-noodle maker Nissin Food Products' "Cup Noodle" are stacked at a convenience store in Tokyo on Nov. 15, 2006. “People have to eat no matter where they go, even outer space," he said, according to Google's blog. In July 2005, Nissin vacuum-packed instant noodles for Japanese astronaut Soichi Noguchi on the space shuttle Discovery. 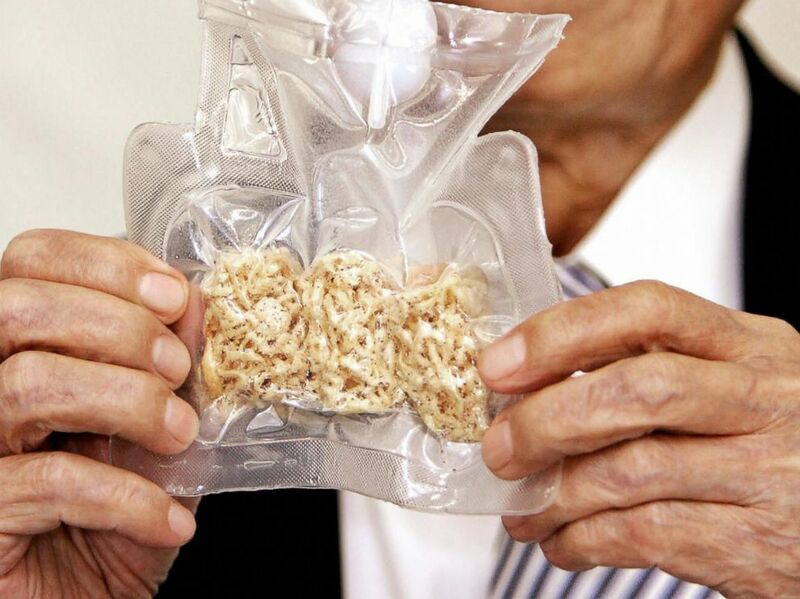 Momofuku Ando holds up a package of instant noodles for astronauts called "Space Ram" during a press conference at the company's Instant Noodle Museum in Osaka, July 27, 2005. “I’ve realized my dream that noodles can go into space," Ando said at the time, according to his obituary in The New York Times. In the other doodles, Ando is shown inspecting noodles under a microscope and waiting for his noodles to warm up during a significantly shorter amount of time than the typical three minutes. 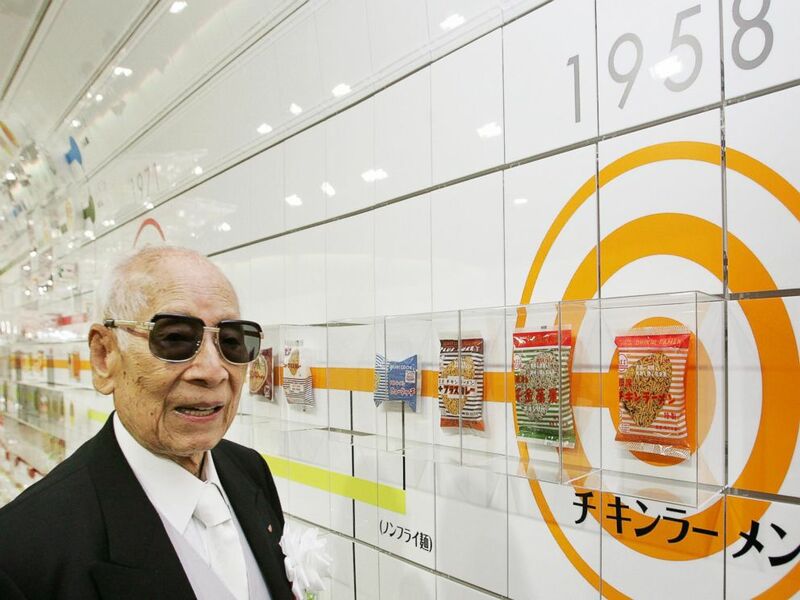 Momofuku Ando, the founder of Japan's Nissin Food Products Co., poses next to a package of company's historic first bag of chicken ramen which was introduced in 1958 at the refurbished Instant Ramen Museum in Osaka, Japan on Nov. 25, 2004.